Award winning, Central Florida artist Deborah B. Smith reveals her perspective on the world through her vivid, impressionism paintings. Smith’s love for art was nurtured at a young age when she was fortunate to have lived in Toronto, Italy. The culture and breathtaking art of Florence and Paris has ultimately influenced her current themes and style of painting and use of the acrylic medium. She has incorporated hints of the old masters in the use of lighting effects and themes in her work. Deborah received great recognition for her art as a child. 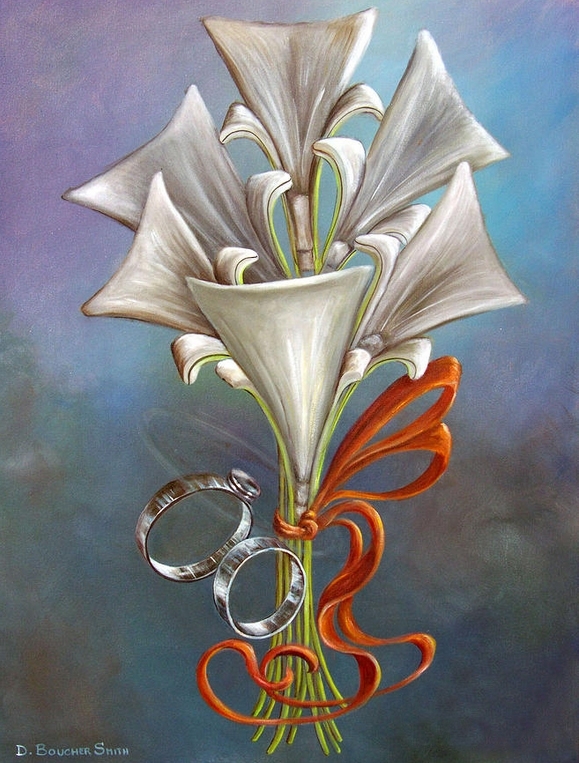 She has won prestigious awards including Best of Show and 1st place for sculpture and painting throughout her career. Her work entitled "Broken Vessel" won 3rd place in the painting category at the Osceola Center for the Arts. Her award winning painting "Cello" was chosen by Kirkland's Home Stores to be reproduced and sold throughout the USA. It ranked in the top 5 of their national "The Next Great American Artist" contest. "I love to create works that have mood, rich color and the dramatic illusion of light in them," said Deborah B. Smith. "Painting is my passion. The acrylic medium allows me to create unique themes that portray an ethereal atmosphere." Smith has devoted her life to being an artist and today her paintings are widely collected. Her work "Shalom" was collected by Brigadier General Gal Hirsch of the International Institute for Counter Terrorism, and now hangs in a private collection in Israel. Smith also won 3rd place for her mixed media piece called "Letters of Love" at the Scan Design 5th Annual Fall in Furniture Love Contest. Smith studied painting under Alix Anderson in Tallahassee, FL. She has had a notable 13 year career culminating as the Arts and Entertainment Director with Walt Disney World and was the first artist given personal recognition for her works there. She has over 15 years as owner of a very successful freelance art business creating murals, decorative art and religious themed art. Smith has exhibited her work at Gallery One Artists in Kissimmee, and many other Florida Galleries. She is a member of the Artist Registry and is on the Board of Directors for Artist League of Orange County. Smith also went on to say, "It is truly a blessing that I can pursue my passion for art as a career. I will never tire of the joy and fulfillment it brings." Her work is being made available through galleries throughout the southern USA. Originally painted for Scan Design using their furniture morphed into a stunning story. Deborah B. Smith Professional Artist Award winning, Central Florida artist Deborah B. Smith reveals her perspective on the world through her vivid, impressionism paintings. Smith’s love for art was nurtured at a young age when she was fortunate to have lived in Toronto, Italy. The culture and breathtaking art of Florence and Paris has ultimately influenced her current themes and style of painting and use of the acrylic medium. She has incorporated hints of the old masters in the use of lighting effects and themes in her work. Deborah received great recognition for her art as a child. She has won prestigious awards including Best of Show and 1st place for sculpture and painting throughout her career. Her work entitled "Broken Vessel" won 3rd place in the painting category at the Osceola Center for the Arts. Her award winning painting "Cello" was chosen by Kirkland's Home Stores to be reproduced and sold throughout the USA. It ranked in the top 5 of their national "The Next Great American Artist" contest. 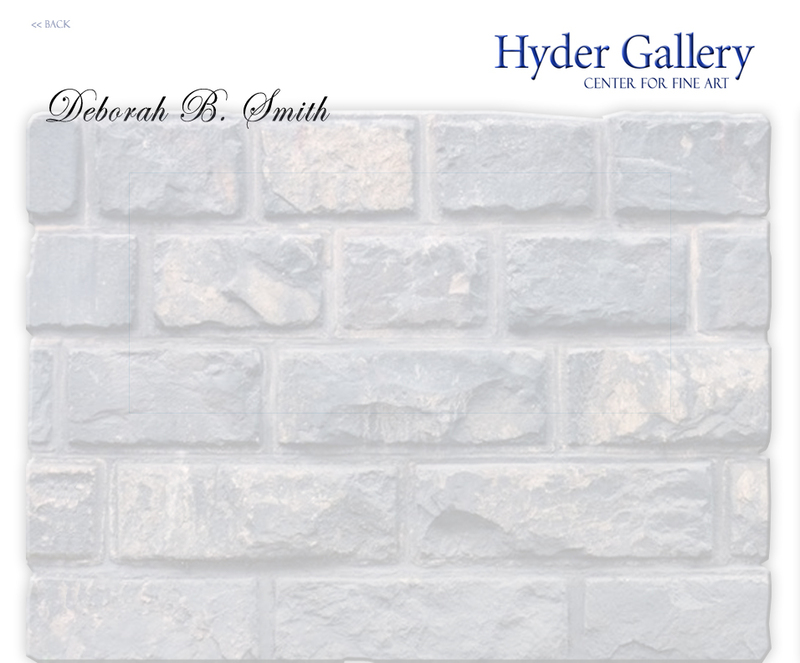 "I love to create works that have mood, rich color and the dramatic illusion of light in them," said Deborah B. Smith. "Painting is my passion. The acrylic medium allows me to create unique themes that portray an ethereal atmosphere." Smith has devoted her life to being an artist and today her paintings are widely collected. Her work "Shalom" was collected by Brigadier General Gal Hirsch of the International Institute for Counter Terrorism, and now hangs in a private collection in Israel. Smith also won 3rd place for her mixed media piece called "Letters of Love" at the Scan Design 5th Annual Fall in Furniture Love Contest. Smith studied painting under Alix Anderson in Tallahassee, FL. She has had a notable 13 year career culminating as the Arts and Entertainment Director with Walt Disney World and was the first artist given personal recognition for her works there. She has over 15 years as owner of a very successful freelance art business creating murals, decorative art and religious themed art. Smith has exhibited her work at Gallery One Artists in Kissimmee, and many other Florida Galleries. She is a member of the Artist Registry and is on the Board of Directors for Artist League of Orange County. Smith also went on to say, "It is truly a blessing that I can pursue my passion for art as a career. I will never tire of the joy and fulfillment it brings." Her work is being made available through galleries throughout the southern USA.